RGB pictures taken at Starmere w 12.5" PlaneWave Telescope with Apogee Camera. Another set of L, RGB pics taken with 20" PW scope and FLI Camera from New Mexico Observatory of iTelescope. Exposures: 4500 secs in each of RGB and 2820 secs in Lum. This nebula is just off the northeast end of the Orion Nebula in the Orion Constellation. 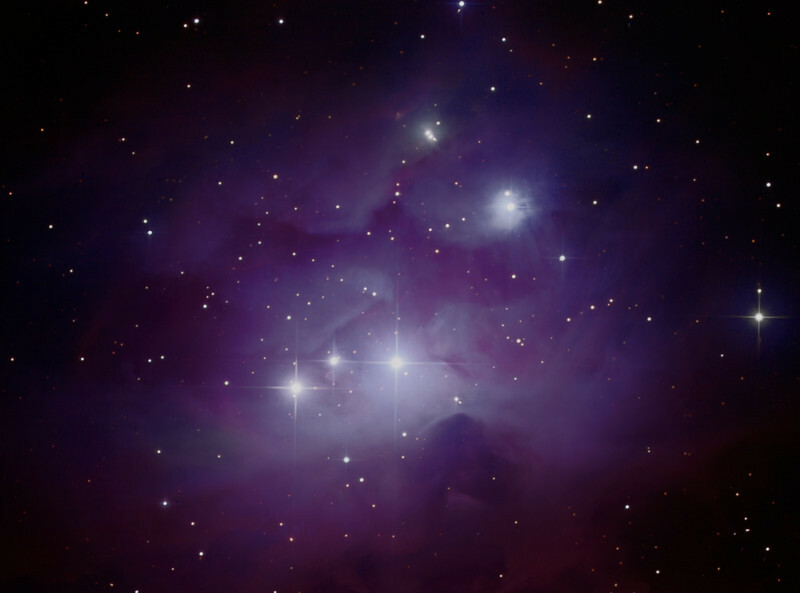 It is also known as NGC 1973, 1975 and 1977 for various parts of it. It is estimated to be approximately 1,500 light-years away.